Miami (AFP) – Tropical Storm Bertha dumped heavy rain on the southern Bahamas and Turks and Caicos Islands on Sunday, as forecasters warned it would likely grow stronger. At 1800 GMT, the storm was packing top winds of 45 miles (75 kilometers) per hour, and the US-based National Hurricane Center predicted some strengthening over the next two days. Bertha was located 150 miles (240 kilometers) southeast of San Salvador, Bahamas. A tropical storm warning was in effect for the southeastern Bahamas, as well as the Turks and Caicos. Some strengthening is possible in the next 48 hours. 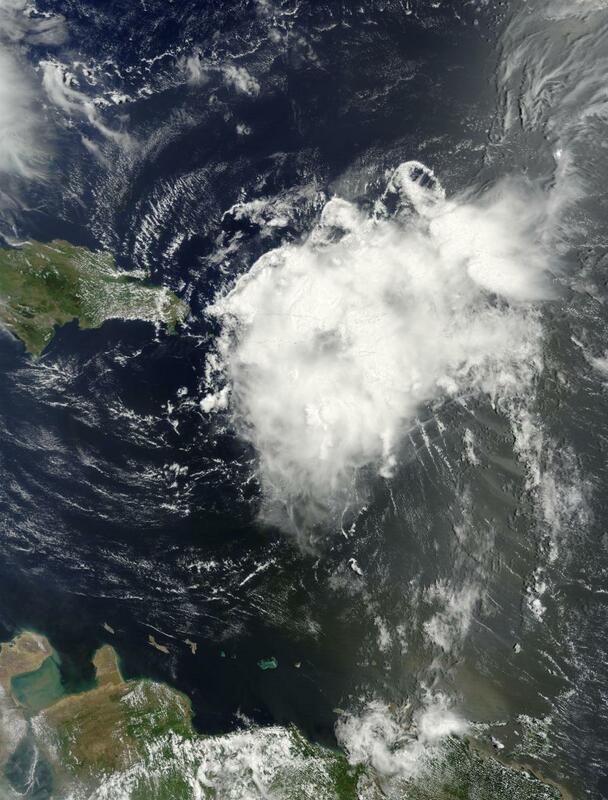 The Miami-based NHC said Bertha was expected to cause up to five inches (13 centimeters) of rainfall across eastern portions of the Dominican Republic, as well as the Turks and Caicos through Monday. Dominican authorities declared a red-alert emergency after heavy rains triggered by Bertha toppled trees and flooded the banks of many rivers in the mountainous nation. No injuries were immediately reported. Meanwhile, Hurricane Iselle became a major hurricane as it strengthened to a category three storm and barreled toward Hawaii. But as it was still churning in open seas, no coastal watches or warnings were in effect. NHC forecasters predicted it would begin weakening on Monday.